Coach Settles recently completely his 11th season as a high school coach in Indiana. 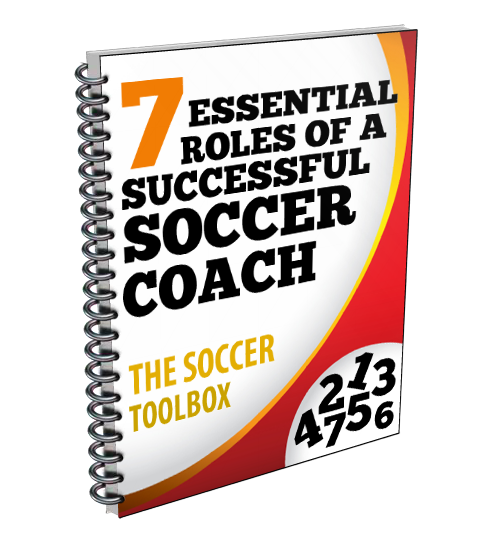 The former collegiate player at the University of Southern Indiana is also a regular contributor to the Soccer Toolbox. Soccer is a sport that requires lots of running and players must be in good shape to be effective on the field. As a coach, you probably have several fitness activities whether it’s running sprints or a long distance run. Are you timing or keeping track of each player’s progress? How do you know if players are giving all their effort? The Beep Test can help answer these questions and many more. One of the many benefits of the Beep Test is that it can be set up just about anywhere. All you need is a space of 20 meters (approximately 22 yards) and the Beep Test audio. There are several different apps you can get on your cell phone and play from there if you are on your practice field. If you have access to speakers or a sound system, that’s a plus and will help the players to hear the beeps. I would suggest you split players into two groups so each player has a partner. The partners can help keep track of the total distance or final level that their teammate reaches. The test is very simple in that players start on one end of the grid. When they hear a beep, they run to the other end. Once they hear the second beep, they can run back to where they started. This back and forth running continues as they beeps gradually get faster with less time in between. You can make your own rules on how you conduct the test, but I would encourage giving each player a warning on their first beep miss. This means they can keep running, but the next miss means they are out and done. Each group goes until the final player is finished. The most important part is to write down the levels and sprints that each player makes during the test. Most players don’t realize how much running they are doing because the grid is short and small. As the beeps get shorter and levels increase, players gradually build up to sprints back and forth across the grid. This combines both long distance and sprints into one conditioning activity. Make it a competition between each group to see who wins and also which winner achieves the highest level. Your most competitive players won’t want to lose and will challenge themselves to win. One of the keys parts about the Beep Test is that all players are on an even playing field. Endurance and mental toughness become critical as players get exhausted and have to push themselves through it if they want to keep going. You can do the Beep Test each week, each month, or as often as you would like. If you track each test, then you can see if players are progressing in their fitness. If players are not working hard or having a big drop off from test to test, you will be able to see this. This test is used at the highest levels of soccer and is a great tool for coaches to use in regards to fitness levels in their players.